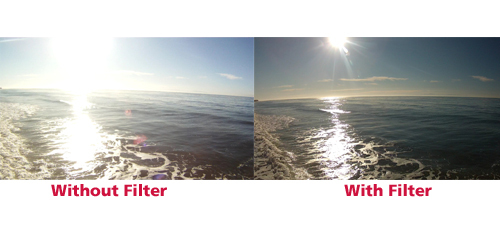 This filter simply goes between the HD Hero camera lens and the underwater housing lens. It is a polarizing filter that makes the sky deeper blue, grass more vibrant, reds more bright and removing water reflections and giving more vibrant colors all around. 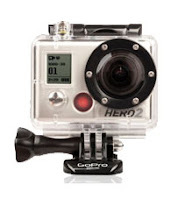 While filming with GoPro cameras outdoors, many users may notice their HD video looking washed out and overexposed. The GoPro Camera has a fixed aperture which means it lets in too much light in bright situations. 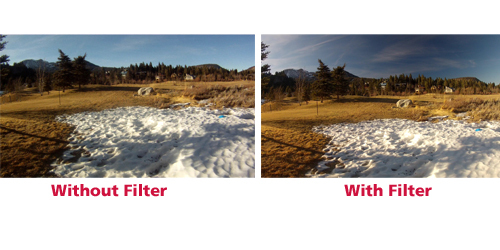 GoPro overexposure most often takes place while in the snow, near water, or shooting scenes in partly cloudy to sunny conditions. Polar Pro Polarized Filters block only the wavelength of light most commonly associated with reflection, which means all other light enters the camera unfiltered (still produces vibrant colors, unlike a pure neutral density filter.) With our filter you will be able to capture the production quality video you were promised when you purchased a GoPro HERO. The Polar Pro Polarizer Filter is made Specifically for GoPro HD HERO and HERO2 cameras. The small polarizer filter fits in between the GoPro camera and the waterproof housing and prevents this "reflected light' from entering the camera. 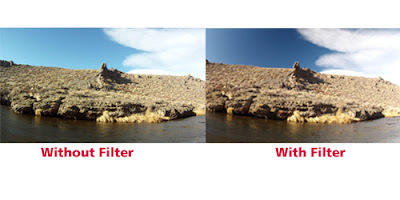 When using the polarizer filter it extracts the bad light and still allows great coloration to pass thorough, something a Neutral Density filter will not do. You will only want to use these filters in partly cloudy to sunny conditions because when there is no light out the slight tint will make it even darker. 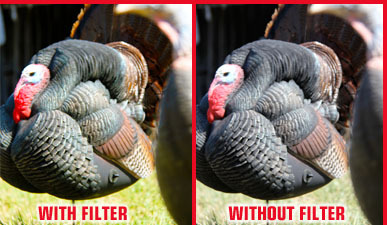 Item Reviewed: Bring Out The Colors of Your Gobblers- add a Polarizer Filter to a GoPro 9 out of 10 based on 10 ratings. 9 user reviews.